Updated 3 level, 3 bedroom, 2 bathroom, corner unit in well maintained townhome complex in Simon Fraser Hills. Extra large master bedroom with East facing windows. Wood burning fireplace on the main. Spacious living, dining room & kitchen.Large recreation room in the basement with custom buit home office for two with plenty of desk space in addition to media/games center area. 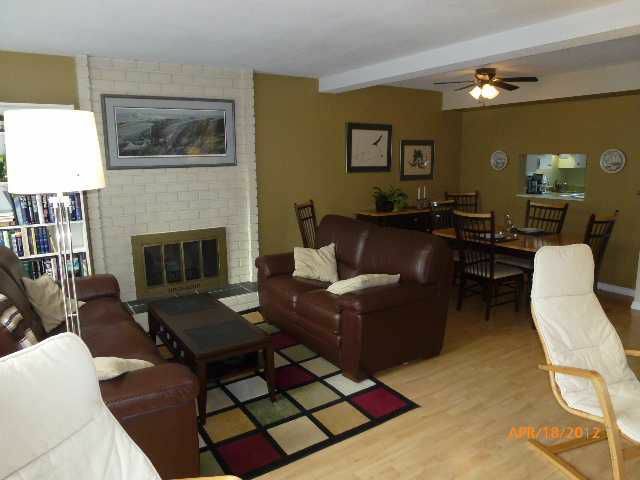 Located in a quiet area of the complex on a quiet cul-de-sac location. Lots of off street parking. Close to greenbelt walking and running trails. Complex has an outdoor pool, sauna & large children's play area. Walk to Skytrain. Close to HS & Elementary Schools, SFU, Cameron Rec and Library, Lougheed Mall and North Road shopping malls. Easy to show. Hurry!